This is the UK hardback first edition of Alan Moore: Storyteller, published this very week by The Ilex Press (published simultaneously in the US by Rizzoli), with a cover design concept by the incomparable Chip Kidd, and beautifully designed overall by the supremely talented Simon Goggin, overseen by Ilex Press' doyenne of art direction, Julie Weir. 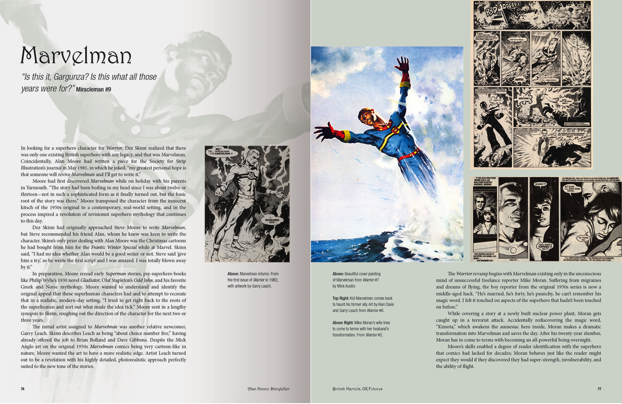 Written by comics aficionado, cartoonist (he created the comic book/graphic novel series Strangehaven), designer (he also penned Ilex's essential Comic Book Design) and friend of Alan Moore, Gary Spencer Millidge, it's an authorized, highly illustrated, 300-plus page biography of Moore's life and work. It is, if I do say so myself – I edited the thing, with the able assistance of Ilex Press' unflappable senior editor, Ellie Wilson (and with the gently guiding voices of Ilex's Tim Pilcher, Roly Allen and Ilex publisher Alastair Campbell – no, not that Alastair Campbell – in the background) – a bloody amazing book. Not only are Gary's words revealing and insightful; not only does it boast copious quotes from Mr. Moore; not only does it feature such little-seen rarities as an unpublished V for Vendetta script, the legendary Big Numbers chart detailing all twelve issues of that never-completed series, a cornucopia of family snaps, notebook pages and sketches kindly provided by Mr. Moore himself, and lots more besides; but it also comes accompanied by a splendid CD, whereupon you'll find a selection of incredibly scarce songs and performances by Alan Moore and friends, all lovingly mastered by longtime Moore collaborator Gary Lloyd. I'm not going to bang on at length about the book here on Existential Ennui; I posted a prolix, meandering, self-serving missive about it on the Ilex Press blog yesterday, in which I largely, as is my wont, talked about myself, so go read that if you have a day to spare. 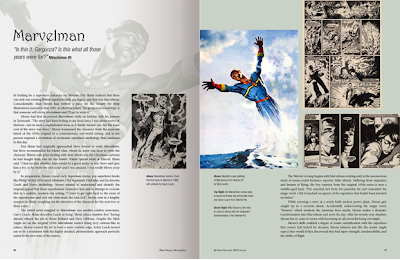 Instead I'll restrict myself here to noting that, like another Ilex volume I blogged about last year, The Art of Osamu Tezuka, God of Manga, I'm really rather proud of Alan Moore: Storyteller. 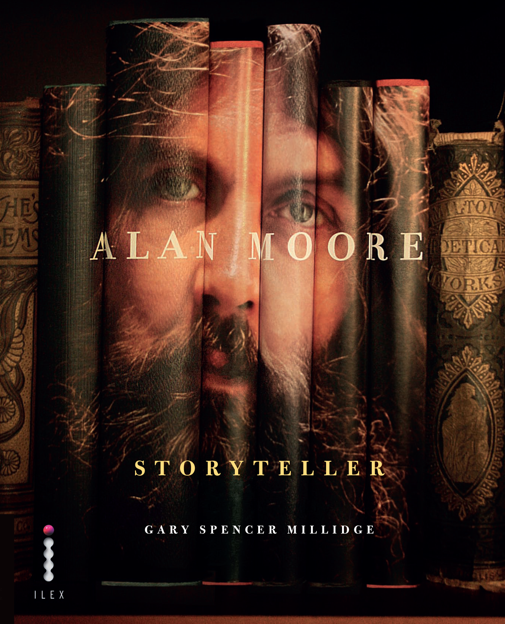 Having been a huge fan of Alan Moore's work for getting on for three-quarters of my life, I can happily report this the hefty volume is everything I, and therefore by extension any self-respecting Moore fan, could possibly want in a book about Alan Moore. I took my visiting nieces to a comic book store on Sunday and we saw a copy of The Art of Osamu Tezuka, God of Manga displayed on top of the case of Osamu Tezuka books. I tried to impress them by explaining to them that my friend was the book's editor (had to explain what an editor did and that you did not know Astro Boy). I don't know how much registered but they did fight over who got to hold the book - pretty high praise from these two. Despite my efforts to get them to buy something cool, we left we some Kim Possible books. Congratulations on the release of the Alan Moore book. It looks fantastic. I had to google Kim Possible, but it looks quite cool actually! Ta for the props, BG! 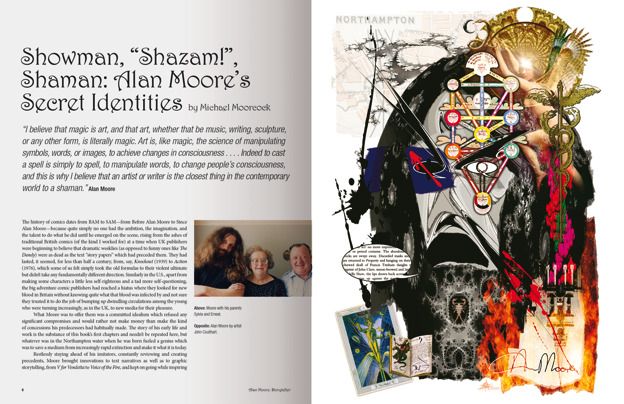 I've been looking forward to this book for ages, I'm a huge Alan Moore fan. That's good to know, Yvonne. It's a great book – I think you'll be pleased. Now I've read your piece on the Ilex site I have just ordered my copy. I haven't finished reading my copy of The Extraordinary Works of Alan Moore: Indispensable Edition yet but having looked at this new book it may well take precedence over that. The mention of The Eyrie newsagent on Elmers End gave me a nice bit of nostalgia, as I too remember sitting in the dusty corner of that same shop looking at the copies of Warrior he had stored in an old cardboard box marked down to 10 pence. He had the bad habit of marking unsold back issues with a big X using a fat black marker on the cover. Bad man. That was my first taste of V for Vendetta, shame we had to wait a few years until DC finally completed it with their 10 issue run of it. I owe you one for lending me the Watchmen issues too all those years ago. Hello, Mark! How the dickens are you? D'you know, I'd clean forgotten I'd lent you Watchmen. I did get 'em, back off you didn't I? !